A good smile goes a long way. No matter a person’s culture or language, a smile is the universal communicator of happiness. With that said, a good smile can make you look younger, more attractive, and even make you feel more confident. Cosmetic dentistry is a form of dentistry that is dedicated entirely to improving the appearance of your smile. Unlike other forms of dentistry, cosmetic dentistry is an art form, because a good cosmetic dentist must be able to envision and create a more perfect smile. Dental imperfections can be caused by a variety of factors, or they can stem from genetic factors. You might be experiencing discolored, chipped, or misshapen teeth, which are some of the easiest cosmetic issues to fix. Or, you might be experiencing more advanced issues, like tooth loss, gum recession, a gummy smile, or overcrowded and misaligned bites. Almost any issue you might have with the appearance of your smile can be fixed with cosmetic dentistry. One of the most common dental imperfections is a yellow or dulled smile. For that reason, teeth whitening is also one of the most commonly requested cosmetic dental treatments. The color of your teeth fade with time - especially if you drink coffee, tea, or smoke cigarettes. Teeth whitening is a low-key and inexpensive way to get a brighter and whiter smile, which can make all the difference in your confidence. 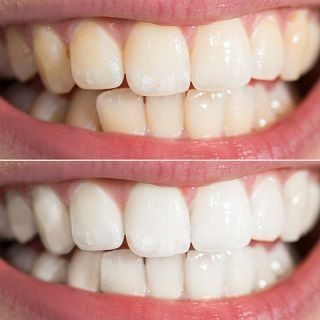 Chipped and stained teeth are easy to fix with cosmetic dentistry. When it comes to fixing chips and stains, you have two main options - composite bonding and porcelain veneers. Composite bonding is a more affordable but also more temporary solution to chipped and stained teeth. Composite bonding is a material that is shaped over your natural tooth to make it appear more aesthetically pleasing. In the same vein, porcelain veneers are casings made out of porcelain that are placed over your teeth to cover dental imperfections. In essence, porcelain veneers are constructed to take the place of your original enamel. They're also a more permanent alternative to bonding, in which you don’t have to worry about your veneers becoming stained. Cosmetic dentistry is often used to straighten out misaligned or gapped teeth. Porcelain veneers are used to fix gapped teeth, while teeth misalignments can be fixed with Invisalign. Invisalign is a more cosmetic approach to orthodontics, in which you don’t have to worry about wearing unsightly metal brackets or painful wires. Instead, you can get straighter and more beautiful teeth in a discreet way. One of the greatest most recent advances in cosmetic dentistry is the ability to replace missing teeth with dental implants. Dental implants not only replace the crown portion of your tooth for aesthetically beautiful results, but they also restore the tooth’s root, giving you a more functional solution to your tooth loss. Dental implants are a long-term replacement for tooth loss. For patients looking for a short-term cosmetic solution to their tooth loss, we recommend porcelain bridges. Porcelain bridges are attached to your natural teeth neighboring the missing tooth, and span the gap of the missing tooth to give the appearance of a natural smile. Do you feel like you have a gummy smile, or like your teeth are too small? One way to make your smile appear larger is through cosmetic gum surgery. Cosmetic Gum Surgery works by contouring your gums to expose your teeth and give your teeth a larger appearance. At Gables Perfect Smile, we can also help your smile appear larger and fuller through Lip Repositioning surgery. Lip repositioning treats gummy smiles by repositioning your lip further down to expose less of your gums. Before hopping into a cosmetic treatment, it is important to research your dentist, making sure they are certified and experienced in the treatment. While cosmetic dentistry can totally transform your smile for the better, when performed incorrectly, it can leave your smile unnatural looking. Dr. Ospina at Gables Perfect Smile in Coral Gables, FL has the skills and expertise to fix all of your smile’s imperfections. Call us today to learn more 305-901-0700.